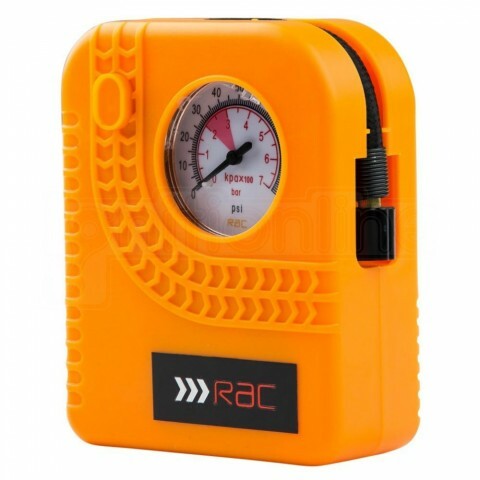 The RAC Compact Air Compressor is an analogue pressure gauge used to inflate flat tyres if you are unable to get to a garage. It boasts advanced features with the process taking around only 8 minutes on each tyre with the pressure being displayed in PSI and bar measurements. It can be used on motorcycles and cars with 0-80 PSI. It comes with sport needle and small inflation adaptor.